Gamers looking for a retro styled joystick layout complete with 8 button layout, you might be interested in a newly launched controller in the form of the X-Arcade Solo Joystick. The X-Arcade Solo Joystick has been designed to be compatible with PC, Mac and Linux systems and can also be used on consoles if you prefer for a little extra cash. 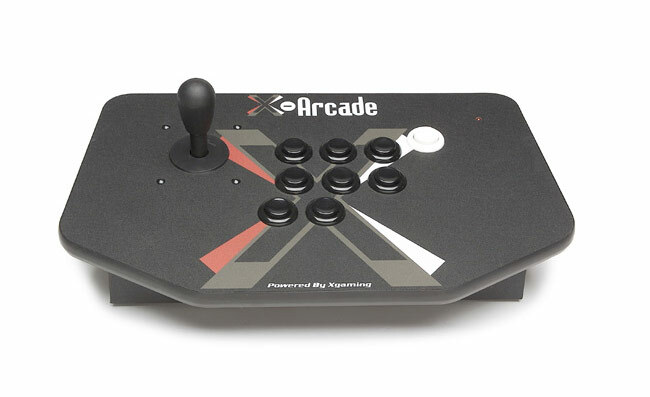 The X-Arcade Solo Joystick measures around 11 inches from side to side and weighs in at 12lbs, and will start shipping on December 1st 2013 with pre-order now being taken for $99.99. Features of the new X-Arcade Solo Joystick include: Direct Support for PI, fully compatible with emulation software to relive arcade classics, Add-On adapters work on any game system PC, or Mac. For more information on the new X-Arcade Solo Joystick jump over to the X-Arcade website for details.